Your PC Optimum app will have a loadable 20x the points. 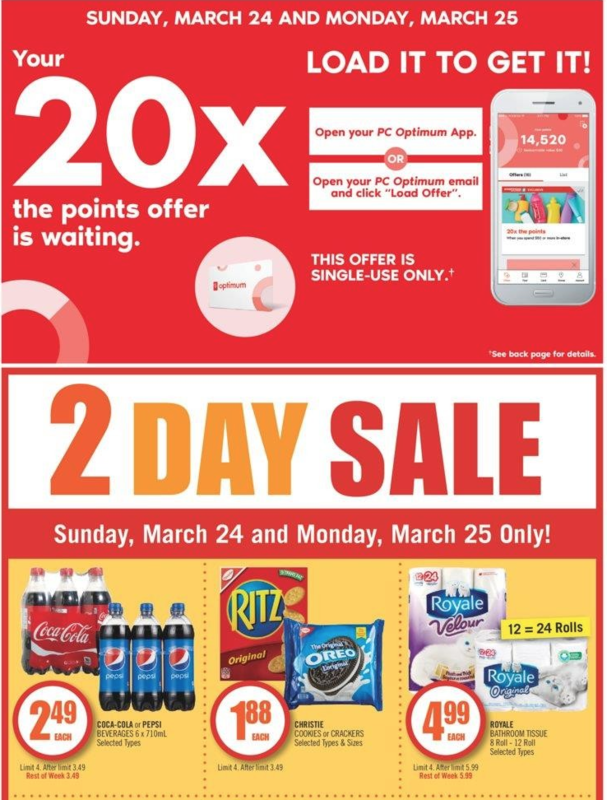 Get 20x the PC Optimum points when you use the offer in your app, spending the minimum required. There are offers valid all week long.